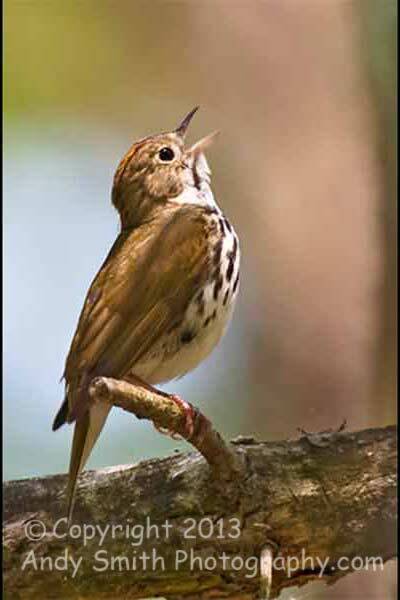 The Ovenbird, Seiurus aurocapilla, is more often heard than seen. It's song, teacher, teacher, teacher, is common in the spring, but its habit of remaining on or near the ground makes it difficult to detect. This one perched on a branch in the Prime Hook National Wildlife Refuge in Delaware.